With the recent spate of studies on the science behind intercessory prayer, a growing number of people have come to question whether seeking the aid of a divine power or concentrating intention on the healing of the sick can be demonstrated and proven scientifically. While many doctors, scientist, and philosophers challenge the assumption that prayer can be tested scientifically, others suggest that it is not only possible, but a cheap, effective, and widely overlooked method of healing. Can prayer be scientifically studied? If it can, and if it has been, what do the results show? One opponent of the scientific validity of prayer is secular humanist and former Pentecostal healer Hector Avalos, who argues in his essay “Can Science Prove That Prayer Works?” that we can never prove scientifically that prayer works because prayer cannot be scientifically tested in the first place. Since a point-by-point summary of his points would not be feasible in this article, suffice it to say that for Avalos, experimenting on prayer is absurd because the god being prayed to is the omniscient, omnipotent, omnipresent Judeo-Christian god, and that because this god is unknowable, it is impossible to know that this god answered a prayer; moreover, for him, it is impossible to isolate a control group of non-prayed-for people, because there are people in the world praying for all life. But what about prayers that do not involve such a being, or such a geographic scenario? What about prayers to a finite god or demi-gods, or a pantheistic god of which each living being is a part, or no god, or prayers which require a measure of propinquity or familiarity between the people involved? Avalos’s argument does not seem to account for these cases, for the following reasons. It may be possible to tell objectively when someone is or is not praying for their loved one by monitoring brain activity in a laboratory setting. If so, scientists should be able to detect when people are praying when they should not be, and vice versa, and thus scientists should be able to isolate a non-praying control group. According to Larry Dossey, most medical studies do not rely on statistical significance in the first place, so critiquing a medical study on prayer, but not a medical study on some other phenomenon, would be unfair. Of course, one might argue that all this says is that medicine needs to adhere to stricter scientific standards. What if prayer only happens when the praying person is in the presence of the ill person, or when the praying person has encountered the ill person? In this case, it does not matter whether there are people elsewhere in the world praying for all life, because the scientists conducting the experiment are not testing the abilities of the people who are doing this—they are only testing the abilities of the praying people who are present. Therefore, it is possible to set up a control group of humans or animals that are not being prayed for by a person who is present. While they may be unable to experience it, humans can conceive of infinity: infinity means never-ending, and a circle consists of a never-ending line. Therefore, it is possible to conceive of an infinite being in order to attribute the cause of a healing to that being. Even if humans could not conceive of infinity, a person may be praying to a finite deity. If a deity is imperfect—not omnipresent, omnipotent, or omniscient—then it may be incapable of healing a sick person; if a deity is pantheistic—in which case everything is a part of it (as in Neale Donald Walsh’s Conversations with God)—then the it is causing and, in turn, curing its own illness. Thus, prayer would not be pointless—the point would be for the entity to experience the act of curing itself (manifested as lower life-forms). Whether or not an experiment can prove which god answered a prayer—Yahweh, or Krishna, etc.—it has still proved that prayer works. Who cares whether prayer is natural or supernatural? It is unnecessary to prove that prayer is supernatural in order to prove that it works. Many scientifically verified phenomena would once have been deemed “magic“. If one is not testing for prayers answered by the Hebrew god, it is unnecessary to factor in this god’s selective refusal of prayers when setting up control groups. 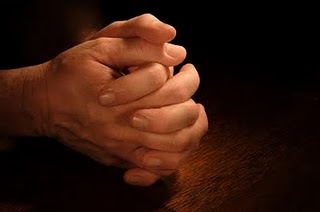 If one’s idea of prayer is to beseech the healing aid of a non-Abrahamic or pagan deity on behalf of a person who is present or whom the praying person has encountered, or if the act does not involve a god, but channeling positive thoughts towards such a patient, it might make more sense to conduct experiments on prayer than Avalos claims. Moreover, Avalos does not consider the more straightforward benefits of prayer: according to one study conducted by Florida State University psychologist Nathaniel Lambert, “Those who had prayed for their partner harbored fewer vengeful thoughts and emotions: [t]hey were more ready to forgive and move on”, while this forgiveness was boosted by an increase in “selfless concern” subsequent to the act of praying. So there seems to be some evidence to suggest that it would not be absurd or impossible to experiment on prayer in which the patient is present or familiar with his or her benefactor, or in which the deity is not wholly unknowable, as in Baptist, Lutheran, or other evangelical Christian churches, or in which no deity at all is involved. And even if prayer has no remote spiritual benefit, it may have personal and psychological ones, as Lambert’s study suggests. As always, we would like to hear our ministers‘ thoughts on the usefulness of prayer and how it has affected their lives. Read more about secular humanism in our Guide to Divinity.